Fran Heller - Cleveland Jewish News Review: "With a voice like a boom box and a body to match, zaftig stage pro Jean Zarzour adds a strong whiff of professionalism as Benjy’s meddling Jewish mother from Brooklyn, Belle May Steinberg Carroca"
Christine Howey - Scene Magazine Review: "Jean Zarzour creates a larger-than-life but charmingly intrusive Belle, Benjy's mom." 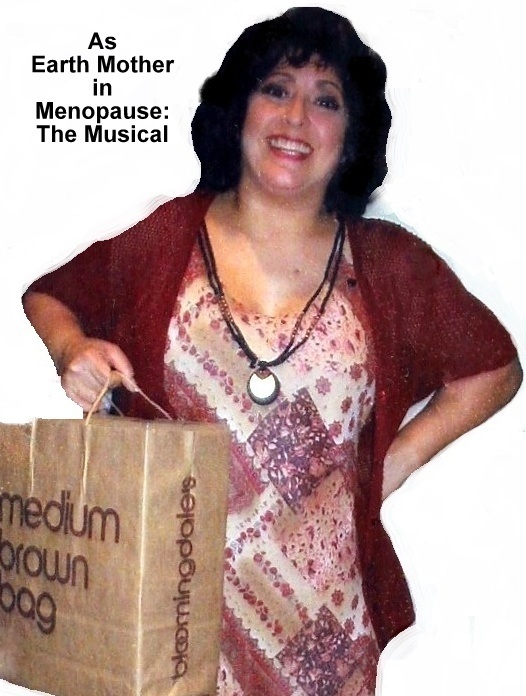 Roy Berko﻿ - Cool Cleveland﻿ Review: "Jean Zarzour was hilarious as Benjy’s mother...This lady is funny!" 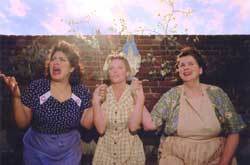 Keith Joseph - Free Times Review: "Jean Zarzour's brings a racy mix of schmaltz and moxie!" Fran Heller - Cleveland Jewish News Review: "Sharing his dream is Shmuel’s devoted wife Amalia (the excellent Jean Zarzour), torn between her husband’s nationalist Zionist fervor and her growing recognition of the failure of the experiment. Zarzour’s Israeli-accented English is also perfect." 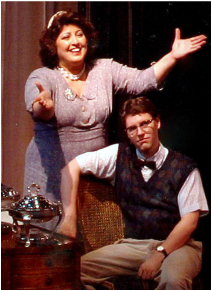 Christine Howey Review: ﻿"...a stellar cast under the direction of Scott Plate delivers a powerful evening of theater." "Charles Kartali is strong and compassionate as Shmuel. In the role of his wife Amalia, Jean Zarzour is equally powerful as his main support and loving companion." 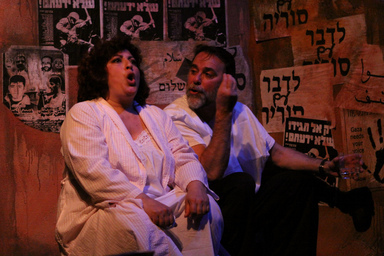 ﻿Roy Berko Review:﻿ "Strong performances are put in by Charles Kartali as Shmuel and Jean Zarzour, as his wife Amalia." Review: "Earth Mother, aka Jean Zarzour, was a bundle of energy greatly reminiscent of ‘That Girl’ (Marlo Thomas) with her sparkling big brown eyes and dark brown curls bouncing as she danced and sang. Dressed in a warm-up suit, she hilariously lamented: “Puff, my God I’m draggin’” to Puff, the Magic Dragon." 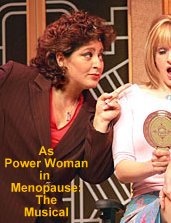 Review: "Jean Zarzour as Power Woman, knows how to sell each song with Aretha Franklin rhythm and soul! Her Tina Turner impersonation is a show stopper you won't want to miss!" ﻿Review: ﻿"With her brassy voice and take-no-prisoners persona, Zarzour gives the production what heft it has." ﻿Review:﻿ "Jean Zarzour as angel Marge is refreshingly funny"
﻿Review: ﻿ "Jean Zarzour is broad but entirely credible as Bella, bullying her family and manipulating her friends, even as she hides her own shameful secret. 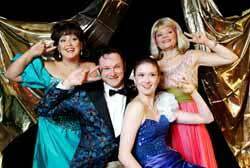 Her drunk scene in Act Two is woozy and wobbly, with a slicing edge." "Our area is blessed with numerous talented actors and directors, and you should know their names; Jean Zarzour... They have a damn good batting average and deserve your attendance when they're involved in a production." 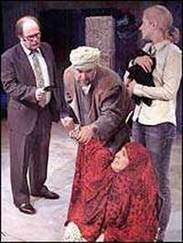 Fran Heller - Cleveland Jewish News Review: Jean Zarzour gives a strong performance as the vitriolic Mahalla, a former librarian, who lambastes Priscilla about the West's ruination of her country. "You love the Taliban so much … Well, don't worry, they're coming to New York!" she cries. Despite the debilitating heat opening night, a sudden chill swept through the theater, proving the fiercely intelligent Kushner a prophet of our time." 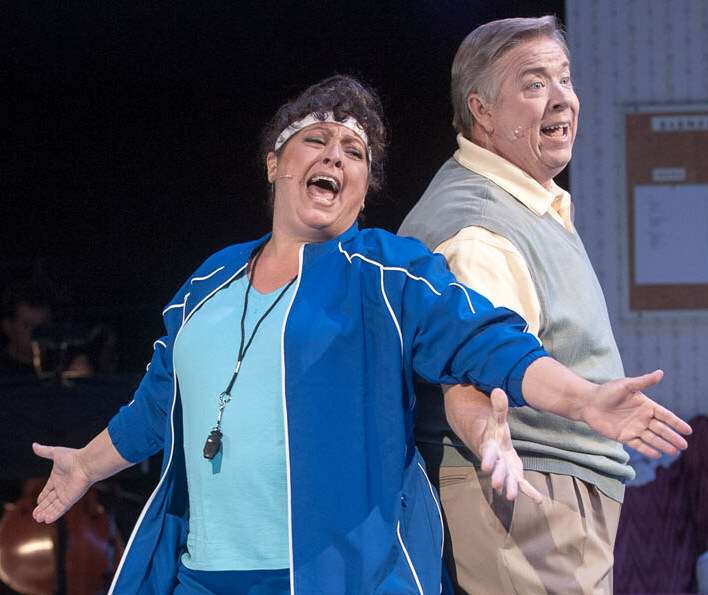 The Sun News Review:﻿ "In Baldwin Wallace Summer Theater's regional premiere of Don't Dress for Dinner , guest artist Jean Zarzour is wickedly funny as Jacqueline, the wife, who has a few secrets of her own to protect and a jealous streak a mile long."